The Numeric Futures – Brekeke PBX is a SIP-based IP-PBX product that can create telephony systems for enterprises and service providers. 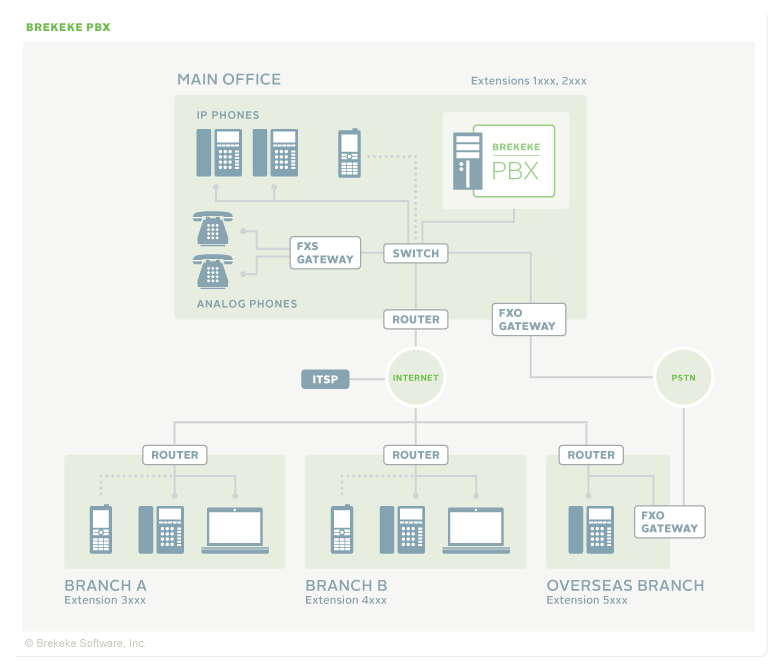 Brekeke PBX comes with a variety of useful features, ranging from the most popular office phone options to the more sophisticated features that large call centers require. In addition, every user can configure a personalized system that meets all of his/her individual needs via Web browser. Since this system supports industry-standard SIP, it works with all SIP-supported products and devices available today. Numeric Futures PBX is designed to meet the unique needs of any telephony environment. It can serve as few as 20 users with the same powerful feature set used in the carrier-size IP-PBX that supports up to 2,000 users per server. By adding the multi-tenant feature, Brekeke PBX can host multiple tenants under a single server, which adds greater convenience for hosted telephony service providers.